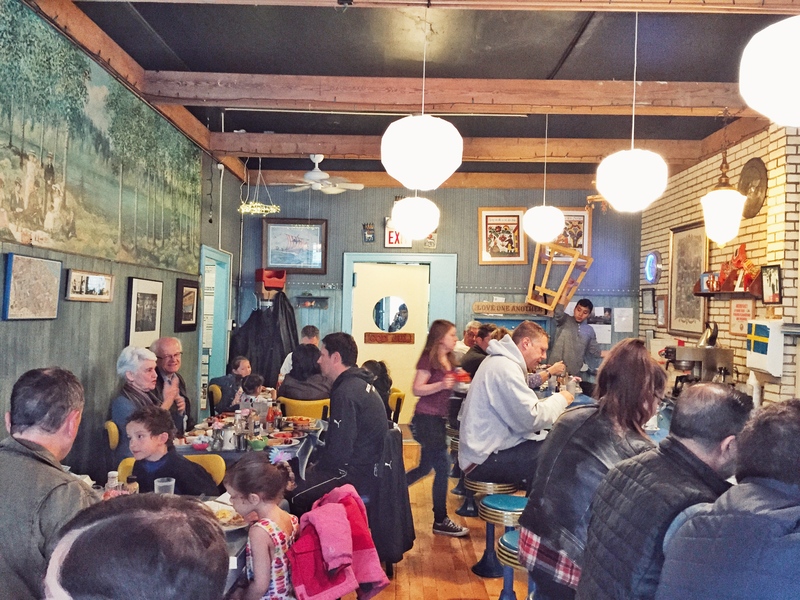 Svea is a cozy Swedish diner in Andersonville filled with viking helmets, flags, Dalecarlian horse tablecloths and Valkommen signs making everyone feel welcome. Svea is a neighborhood favorite so don’t be surprised if you have to wait for a seat if you arrive after 9am on the weekend (they do not take reservations). I suggest coming hungry and getting the viking breakfast: Eggs cooked to order, falukrov (Swedish sausage), Swedish fried potatoes (you can substitute sliced tomatoes) and two Swedish pancakes with lingonberry jam. The pancakes are more of a crepe in thinness with a spongy texture. Be sure to order the limpa as your bread choice, it’s a slightly sweet rye bread. The Swedish potato pancakes are also worth a try as well as the rice pudding with lingonberry jam. Svea also serves traditional lunch items such as herring salad and Swedish meatball sandwiches. 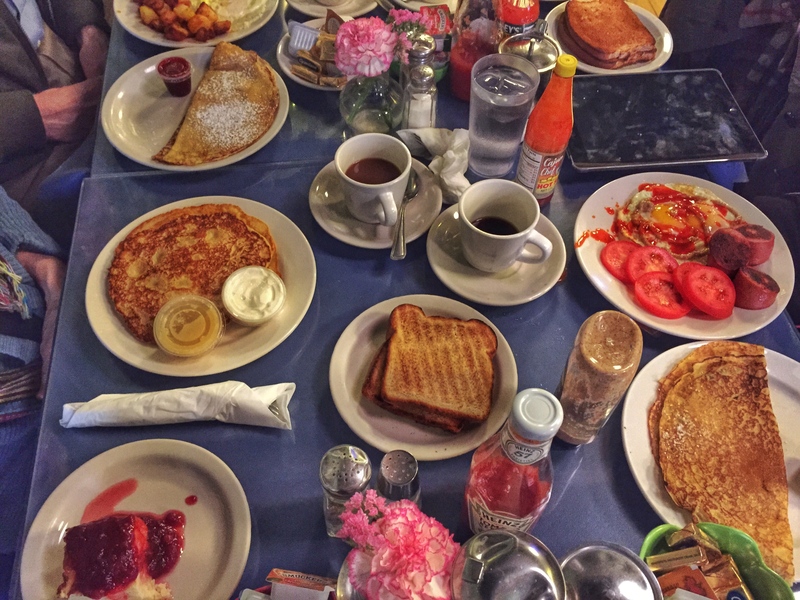 They have a great family atmosphere as well as a diner counter for anyone dining solo. Notes: No website, Facebook page and cash-only.